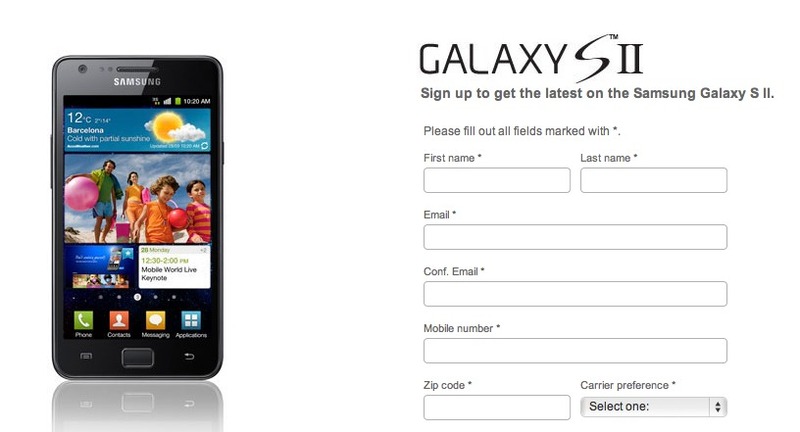 Samsung Galaxy S II U.S. Sign-up Page Goes Live! Who wants the latest on the Samsung Galaxy S II here in the U.S.? Head on over to Samsung’s site now then and register to receive word on when this beast of a phone will be landing stateside. And, yeah…that’s pretty much it. We could fill this up with speculation as to when the device will actual arrive, but truthfully, no one has any idea.